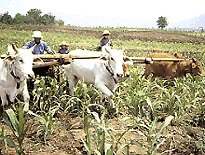 Fifty years ago the Food and Agriculture Organization of the United Nations (FAO) and the International Atomic Energy Agency (IAEA) created the Joint FAO/IAEA Division of Nuclear Techniques in Food and Agriculture. The goal was to bring the talents and resources of both organizations into assisting their Member States in applying nuclear techniques for providing people with more, better and safer food and other agricultural products, while sustaining the natural resources base. Over five decades, Joint Division activities have evolved to respond to the ever-changing landscape of agriculture and nuclear technology and the expectations of national and international organizations for cooperation in nuclear research and technology transfer. Throughout this process, the Division has successfully remained at the forefront of assisting countries in fostering the uses of nuclear science and technology where these really add value. Today, the Joint Division strives to mobilize commitment and action to meeting the World Food Summit and Millennium Development Goals of reducing hunger, poverty and environmental degradation through sustainable agriculture and rural development. The Joint Division operates an Agricultural & Biotechnology Laboratory at Seibersdorf, Austria, with the twin goals of developing and testing agricultural techniques involving isotopes and radiation to suit local requirements and environmental conditions, and to provide the necessary training and analytical services for Member States. A general improvement in public health care in Member States has, as a result of improved economic conditions, been followed by the development of medical services for the prevention of malnutrition, detection of health effects of pollution, and diagnosis and management of cancer, nutritional, infective and genetic disorders. Many of these significant health needs are effectively addressed using nuclear techniques, for which the Agency has unique competence among United Nations organizations. The prevention and early diagnosis foci of WHO and UNICEF are complemented by the Agency's collaboration wherever nuclear technologies are applicable, and expanded to include the treatment of cancer and some benign tumours. In addition, the Agency plays an important role in all human health issues involving the diagnostic and therapeutic administration of radiation for medical purposes, as well as in the assessment of health effects resulting from accidental irradiation. Nuclear and radiation techniques are often the sole means of diagnosis and treatment, and, due to their effectiveness, are also widely used in a large number of other health problems as a complement to non-nuclear techniques. Nuclear medicine procedures with open radioactive sources are used in vitro and in vivo for the diagnosis and management of diseases. 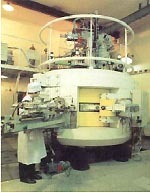 The Agency also collaborates with WHO/UNAIDS to make use of molecular techniques to monitor HIV/AIDS and related problems Radiotherapy, one of the earliest applications of radiation, remains a major modality available for cancer treatment, and the Division has been at the forefront of launching the Agency's programme of Action for Cancer Therapy - PACT (pdf 134 KB) (See also IAEA.org - News Centre, Fighting Cancer). Fostering and maintaining a quality assurance culture, leading to accurate dosimetry, dose delivery and patient protection, are of paramount importance in the success of the application of these techniques. Public health measures are supported by activities in nutritional and environmental areas. The 1992 United Nations Earth Summit in Rio de Janeiro concluded that "the holistic management of freshwater as a finite and vulnerable resource, and the integration of water plans and programmes within the framework of national economic and social policy, are of paramount importance for action in the 1990's and beyond". Isotope and related nuclear techniques are effective and unique tools for obtaining hydrologic information for a broad range of water resource management issues. The Agency is the lead UN agency in this area and provides the basic means of using these techniques in the form of global reference data and isotope reference materials. A wider use of isotope hydrology in the developing Member States for water resources development and management requires the development of technology and human resources as well as financial assistance. The water resources programme of the Agency aims to fulfil these needs. As isotope techniques are more effective when used as an integral part of hydrologic practices, the programme also aims to co-ordinate its activities with other national and international organizations active in the water sector. In particular, collaborative programmes with the WMO, UNESCO, the World Bank, FAO and UNEP are presently active. The Agency has over the years, under its mandate of encouraging and assisting research and practical applications nuclear techniques for development and environmental health, demonstrated that these play an important role in the protection of the environment from radioactive and non-radioactive pollutants. The transfer and behaviour of radionuclides and non-radioactive pollutants in the marine and terrestrial environment are investigated to develop and improve transfer models. These are used for impact assessments and to elaborate appropriate remediation strategies for those dealing with environmental issues. The work also involves the use of radioecology for the protection of terrestrial environment and for making contributions to studies concerned with climate change investigations. The Agency contributes to the ecological and economic sustainability and conservation of clean and healthy environments, and risk assessment and reduction for human well-being. It provides scientific information and assistance to international organizations such as WHO, UNDP, UNEP and FAO and enhances capacity building of Member States who experience elevated levels of radiation or pollution of either natural or anthropogenic origin. The work is carried out at the Agency's Marine Environmental Laboratory, Monaco, and at the Seibersdorf laboratories near Vienna. Applications of radioisotopes and ionising radiation in many spheres of science and technology are contributing significantly towards sustainable development and improving the quality of life. The Agency is contributing in radiopharmaceutical, radioanalytical and industrial spheres of activity. 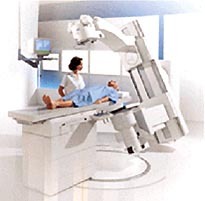 Radiopharmaceuticals and radiation sources are extensively used in the health sector for the diagnosis of a variety of ailments and for the treatment of cancer. Nuclear methods of analysis contribute to environmental pollution studies and help in certifying contamination levels for international trade of agricultural products. Radioisotope sources and gauges are essential in quality control and trouble shooting in many industrial systems. Gamma ray and electron beam treatment are the preferred modalities for sterilization of single use medical products. Not only does radiation-based production of modern polymeric materials for tyres, wires, cables, etc., yield products with superior properties, but their longer life contributes to the conservation of resources. Radiation is also emerging as a tool for treating harmful effluents. These radioisotope and radiation technologies are among the best available and are economically attractive options, constituting a significant proportion of some Member States national nuclear programmes.